Every detail has been designed with Aquarium Safety and Fine Precision in mind. Built for aquariums from 5 liters to 5000 liters! 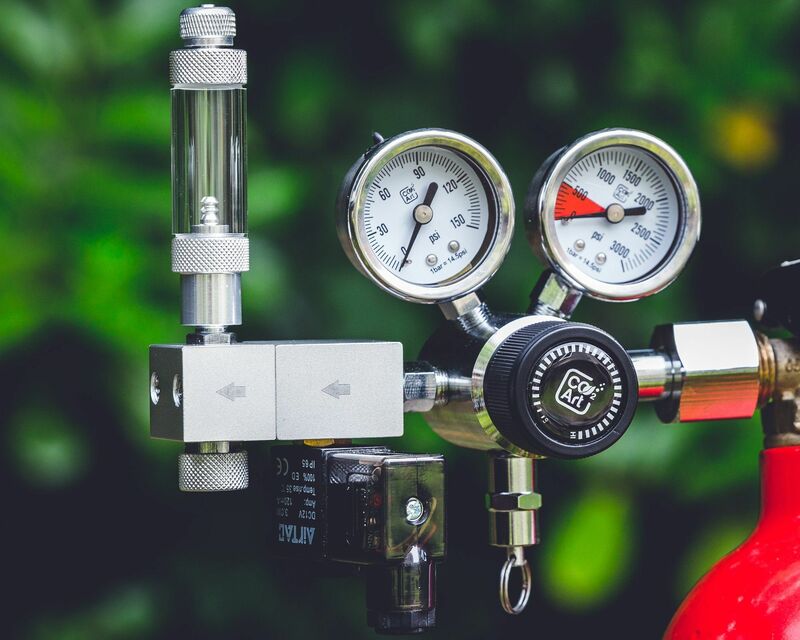 Dual stage construction minimise increase in output pressure as pressure drops in gas cylinder and will prevent end-tank-dump no matter what size CO2 cylinder you will use. New fully customised solenoid block with integrated high precision needle valves and bubble counter. Due to Two Stages construction compatible with any size CO2 Cylinders. The thread is made according to UK, Europe, Japan, Taiwan standard (BS341 / DIN477 / W21.8x14) or CGA320 thread. 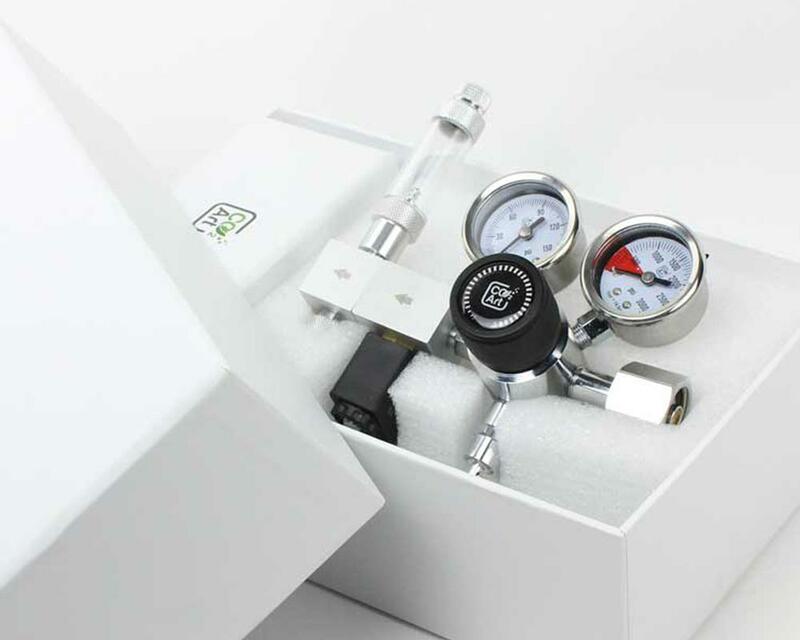 Looking to inject CO2 into two, three or more aquariums ? Your Aquarium is +500L and requires more diffusers ? Now you can add as many outlets as you like. With easy installation you can add or remove additional blocks anytime you want. 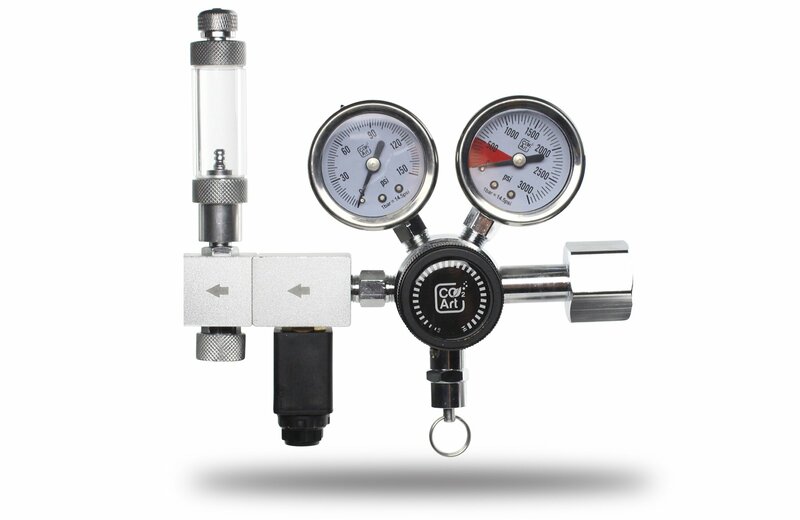 B - High pressure / CO2 cylinder pressure gauge (displays the amount of CO2 in your cylinder). Please note, for most of the time pressure will be at level of 700-900PSI as CO2 is in liquid state. When gauge will start to drop, that means liquid gas has evaporated and you have from couple hours to couple of days left to change the cylinder (depending on your bubble rate). D - Solenoid's valve main block. *We do not recommend mineral oil as it may contaminate your diffuser. 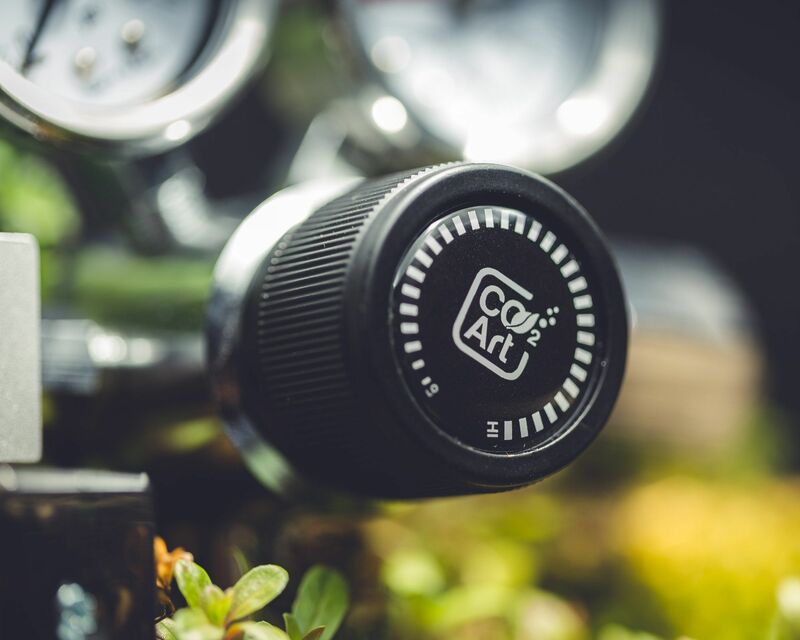 A - Start turning the needle valve clockwise to achieve the desired bubble rate. Please allow 5-30seconds for pressure to stabilise between adjustments. Monitor your bubble rate for the first two days and fine tune to achieve desire flow. Do not adjust the flow right after solenoid is powered up. Please wait at least 30minutes before further adjustments. After each regulator installation, follow steps from below video to make sure your system is leak-proof.